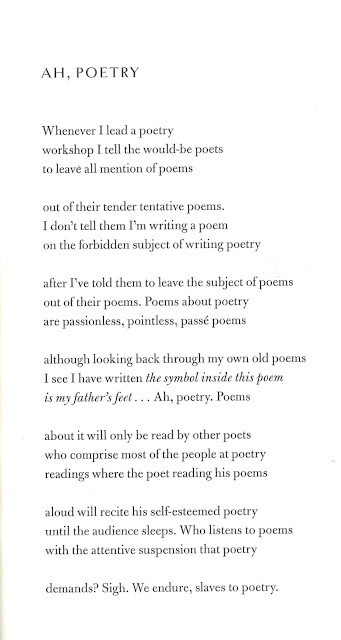 New Hampshire poet, Maxine Kumin, passed away in February 2014 at the age of 88. In her long career as a writer, she not only wrote poetry, she was novelist, a writer for children, and an essayist. She served as the U. S. Poet Laureate 1981-1982. After she passed, Kumin's estate contained a significant number of copies of her books. They were recently offered to libraries within the state. 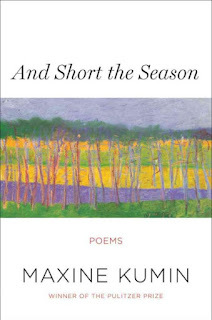 We were able to add several titles to our collection of Kumin poetry books, including a copy of And Short the Season: Poems [811.54 KUM], which was published the year she died. JoAnn at Teaching Authors is hosting the Poetry Friday Round-Up. It's Thursday and April vacation week is almost over. If you want to do something close to home, how about the kitchen? 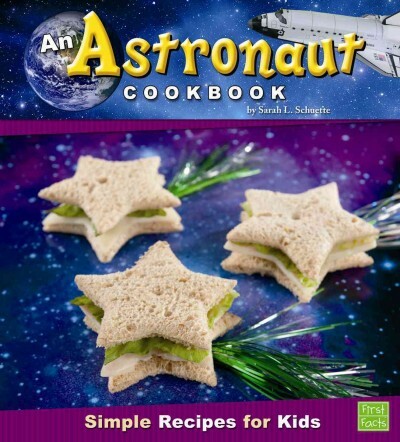 Put on a chef's hat and cook up a storm with the kids. Reading cookbooks and working in the kitchen are good for furthering reading skills, math skills, cooperative living skills, and, for satisfying one's appetite. It's a special time of year--when certain fish (known as Anadromous fish) travel up river to spawn. That means the Amoskeag Fishways in Manchester should be on your list of places to visit during April vacation week. If you've never been there, take it from me, it's awesome watching the valiant creatures tackle the fish ladder! Line up and cheer on biologists when they deliver fish to stock our fish passage at 10 am. Our fish ladder is open but the wild anadromous species have yet to swim up the Merrimack River. While we wait, the stocked fish will be here for up close underwater viewing. 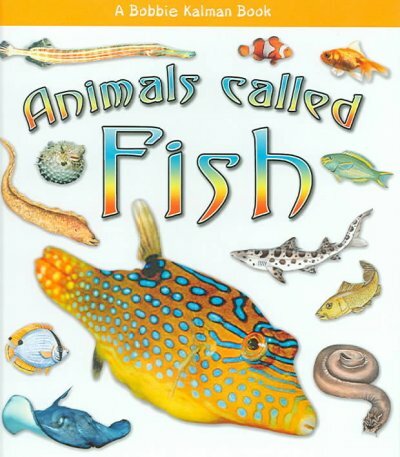 Fish crafts, fish hats, fish games and fishy fun throughout the day! Cost: $3 per person, $6 per family (fee does not cover extended family). No registration required. For a copy of Amoskeag Fishways' newsletter, click here. Attention April vacationers: tomorrow, April 26 from 10:00 to noon, the Library is having an animal themed drop-in craft. You can paint your own animal suncatcher to hang in a window at home. Choose from a frog, hedgehog, owl, or turtle. There will also be foam animal masks available to color. The crafts are recommended for ages four and up. A parent or guardian must accompany children. Crafts available while supplies last. No registration is required. After crafting, if the weather is nice, go for a walk on the Windham Rail Trail and look for ducks, squirrels, chipmunks, garter snakes, and other local wildlife. Zoo New England does not have elephants, so you'll have to travel a little further south to New Bedford, MA to the Buttonwood Park Zoo, "one of the finest small zoos in the United States." Buttonwood has Asian elephants and the website tells us that the best time to visit the elephants is "mid day." I'm sure you all know that April is National Poetry Month, but today there is an international celebration taking place--International Haiku Poetry Day. 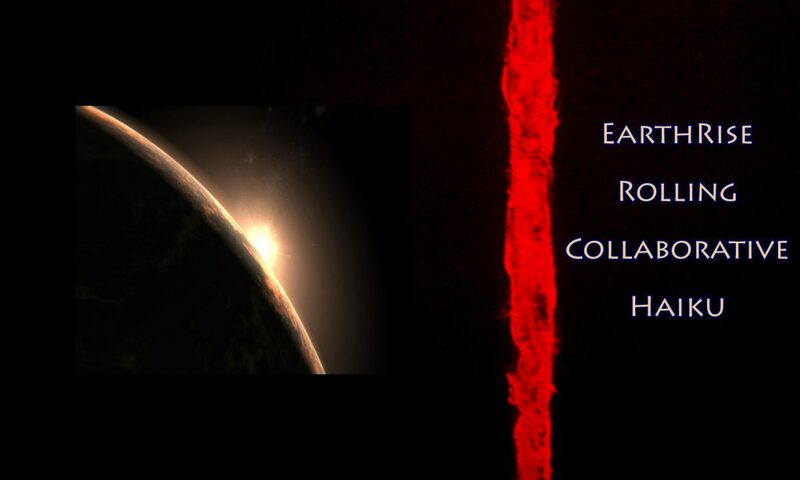 Today, on The Haiku Foundation website, EarthRise Rolling Collaborative Haiku 2017 is taking place. It is the internet's largest collaborative poem with contributors from around the world. The theme for 2017 is "reconciliation." You can read through the many entries and/or you can contribute a haiku of your own. Keep in mind that the definition of haiku IS NOT a poem in three lines with 5-7-5 syllables. For purposes of the collaborative poem try to remember that a haiku is "the essence of a moment keenly perceived." You can write in 3 lines, but don't worry about counting syllables--less is more. Don't write your haiku as a sentence. Don't put a title on it. And. don't use the typical poetic devices of simile or metaphor. The keenly perceived moment is what it is--there's no need for the writer to direct the reader by making comparisons. Of course, you can always read, read, read haiku and come to your own conclusion about its form. I'd suggest you start with The Haiku Anthology: Haiku and Senryu in English [811 HAI] or Baseball Haiku: American and Japanese Haiku and Senryu on Baseball [811.041 BAS]. A haiku is about the natural world, while a senryu has the same form as a haiku, but it deals with human nature. Have fun reading and writing. This is the only post for this week as Kurious Kitty is taking time off. See you next week. 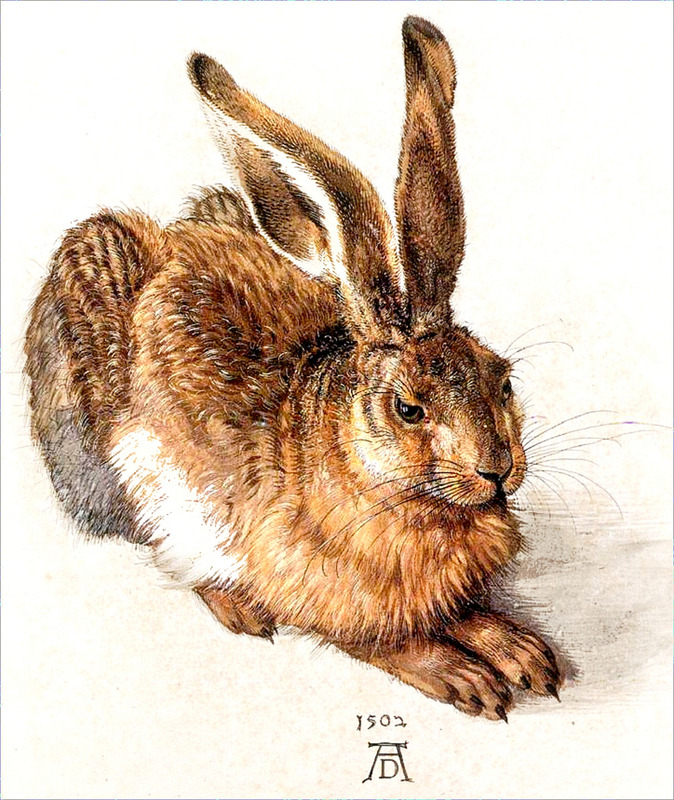 Poetry Friday--"Song of the Rabbits Outside the Tavern"
Since it is finally spring and it's nearly Easter, and, since I saw a little rabbit skittering through my yard, I thought I'd share a rabbit poem today. This one is by Elizabeth Coatsworth (1893–1986). Coatsworth was a talented writer of fiction and poetry for both children and adults. She is best remembered as the author of The Cat Who Went to Heaven [J COA], which won the Newbery Award for children's literature in 1931. If you don't know The Cat Who Went to Heaven, I highly recommend you pick up a copy! Seems never to bother them. 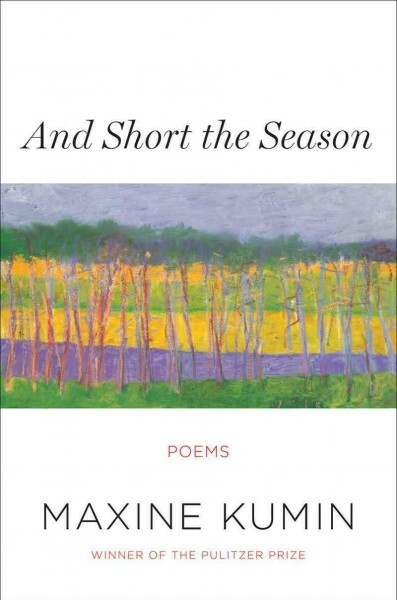 Dori Reads is the host of this mid-National Poetry Month, Friday Round-Up. Be sure to head there before you start this spring-is-finally-here weekend. Today, April 12, has been designated as National Grilled Cheese Sandwich Day. Yes, indeed, a day devoted to one of America's best-loved comfort foods--the grilled cheese sandwich! I'm sure for most Americans, grilled cheese sandwich brings to mind melted American cheese, and often accompanied by a bowl of Campbell's cream of tomato soup. If that's your vision, then more power to you, but I like my sandwich made with swiss cheese and sliced tomato, and, if I'm really feeling indulgent, a few slices of crispy bacon! 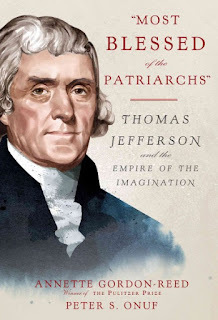 Others have their favorites, and writer, Heidi Gibson, seems to have more than one favorite--a whole book's worth. 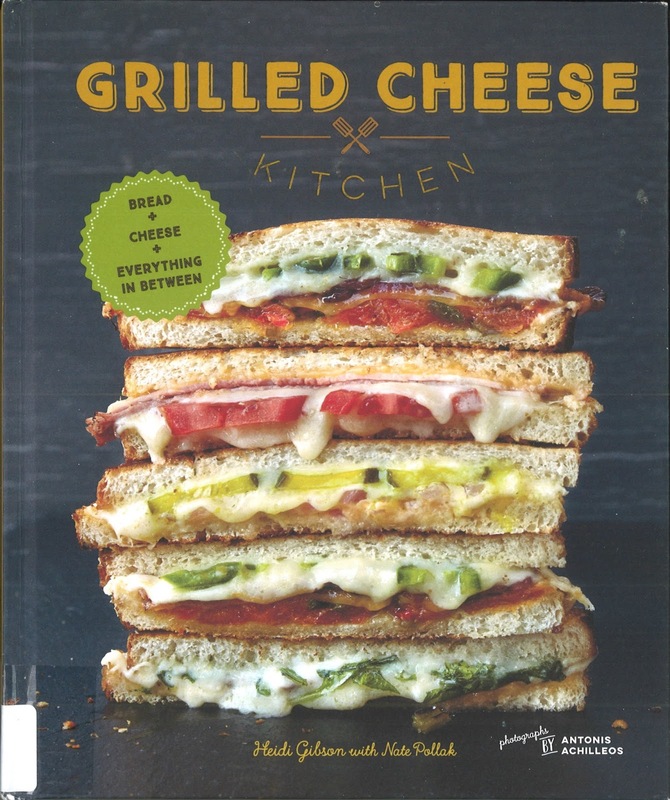 Look for Grilled Cheese Kitchen: Bread + Cheese + Everything in Between [641.84 GIB]. Did she suffer from acute social anxiety, or epilepsy, or bipolar disorder? Was she lesbian, a proto-feminist, a religious radical, a sexual pioneer? The poems support almost every theory and feed almost every taste. Individual Dickinson poems may be found in hundreds of anthologies! 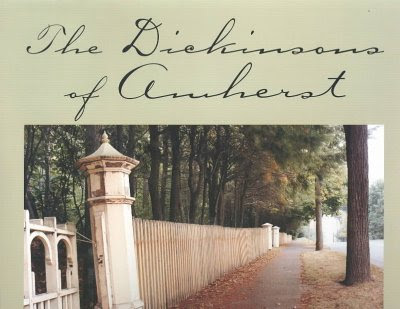 To learn about Dickinson and her family, look for The Dickinsons of Amherst by Jerome Liebling [B DIC] or either of these similarly titled books. Lives Like Loaded Guns: Emily Dickinson and Her Family's Feuds by Lyndall Gordon [B DIC] or A Loaded Gun: Emily Dickinson for the 21st Century by Jerome Charyn [B DIC]. Or, pick up this titillating one, Sexual Personae: Art and Decadence from Nefertiti to Emily Dickinson by Camille Paglia [809 PAG]. This "epic" animated film is opening on June 2. We expect it to be released on DVD about six months after that (maybe in time for holiday gift-giving?). Until then, there are twelve titles in the Captain Underpants series, by Dav Pilkey, to make your way through. The first is The Adventures of Captain Underpants: An Epic Novel [J PIL] and the last is Captain Underpants and the Sensational Saga of Sir Stinks-A-Lot: The Twelfth Epic Novel [J PIL]. Poetry Friday--Happy Birthday, Billie Holiday! Today would have been jazz singer Billie Holiday's 102nd birthday! She was born on April 7, 1915. By the time she was 20, Holiday had a recording contract. Sadly, due to alcohol and drug abuse, and the effects of relationships and legal problems, Holiday passed away at the age of 44. Poet, Langston Hughes, wrote many poems related to jazz and jazz singers, so it is not surprising that he wrote a poem especially for her. Found in The Collected Poems Of Langston Hughes [811 HUG]. Head down to Live Your Poem where Irene is hosting the Poetry Friday Round-Up. When I did my earlier post on the celebrations taking place in April, I didn't realize that another one is also taking place--Wimpy Kid Month! The month's celebration is based on the character from the "Diary of a Wimpy Kid" series by Jeff Kinney [J KIN, J AB/CD KIN, eBook, J DVD DIA]. The first Diary of a Wimpy Kid title hit library shelves back in 2006. There are two types of cake lovers--those who prefer the cake and those who prefer the icing. And those who prefer the icing can be further divided into those who prefer the flavor and those who prefer the decorating aspects. This video is for the person who loves a beautifully decorated cake, but if you need a few minutes of relaxation, this video is for you too. It's rather hypnotic! Spring weather is coming and people will want to get out and go places. 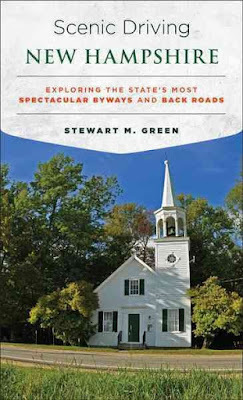 Living in a New Hampshire suburb, though, the only way to get anywhere is by car and having a license has become a necessity. If you, or someone you know is looking to get a driver's license, or refresh one's driving skills, then start at the Library. 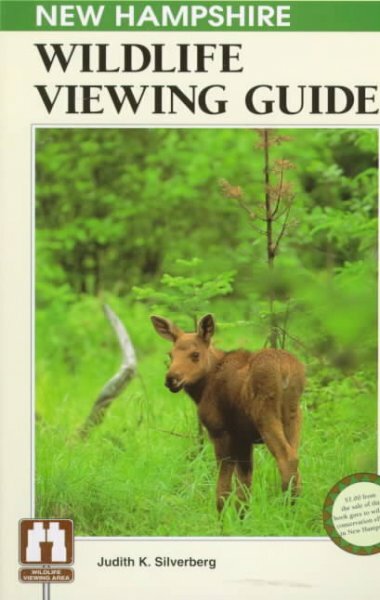 Getting Ready to Drive: A How-To Guide by Eva Apelqvist [YA 629.283 APE] would be a good start for a teen, as would Rules of the Road, a DVD [DVD 629.28 RUL]. Someone brushing up on skills might benefit from Advanced Highway Driving: Tactics for Safety and Optimization by Paul Maravelias [629.283 MAR]. A complete driver education course can be found in Driver Ed in a Box. Parent Taught Driver Education [KIT 629.283 DRI]. The kit comes with instruction manuals, DVDs, and audio CDs. ...provides free and interactive practice tests based on the New Hampshire driver's license manual. No registration information is collected, and the site is ad-free! Study for the permit test, the driver's license test, and the senior citizens' refresher test. Online driver's manuals, as well as practice tests, for car, truck, and motorcycle licenses! Accessibility features allows pages to be read aloud, translated into other languages, and magnified! Also, practice for a learner's permit at DMV Permit Practice Test. Once you're safely on the road, take one of the drives found in Scenic Driving New Hampshire: Exploring the State's Most Spectacular Byways and Back Roads by Stewart M. Green [917.42 GRE 2016]. April, besides being a month of blossoming flowers and trees, is also a month designated for celebrating! April is officially "National Poetry Month," "Jazz Appreciation Month," and "National Humor Month!" We can help you celebrate all three. Either of these collections would be a good entre into poetry if you're not already a poetry fan: When Green Becomes Tomatoes: Poems for All Seasons by Julie Fogliano [J 811.6 FOG] or Felicity by Mary Oliver [818.54 OLI]. 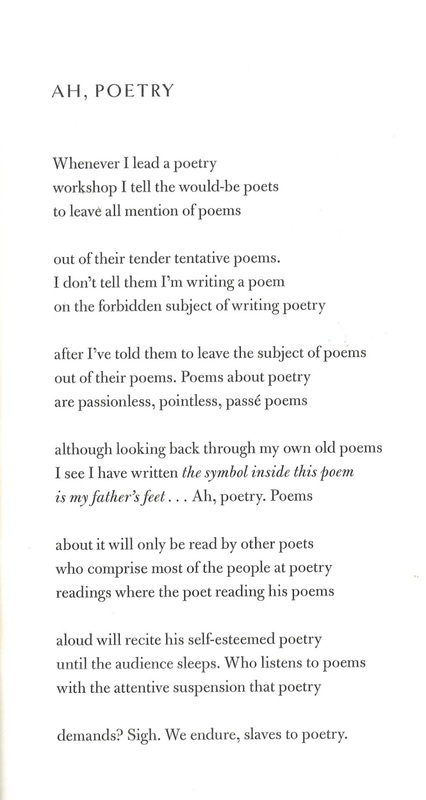 By reading Daniel Finds a Poem by Micha Archer [JP ARC] to a young child, you can introduce the concept of poetry being just a different way of looking at things. The "Jazz Appreciation Month" focus this year is on women in jazz. We've got many women jazz singers in our CD collection from Norah Jones' 2016 release Day Break [CD JAZZ JON], to the 16 CD set The Complete Ella Fitzgerald Song Books [CD JAZZ FIT]. 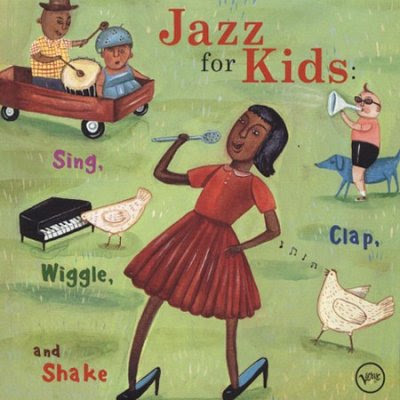 We even have Ella Fitzgerald on a CD for kids titled, Jazz For Kids: Sing, Clap, Wiggle and Shake [CD CHILDREN JAZ]. And, if you're looking to laugh we have joke books for kids [J 818], the work of cartoonists like Matthew Diffee's Hand Drawn Jokes for Smart Attractive People [818.602 DIF], hilarious, recorded, old comedy routines such as 2000 years with Carl Reiner & Mel Brooks [CD COMEDY REI], and movie comedy classics like Some Like It Hot [DVD SOM]. We have more than enough humor to carry you through April AND May!